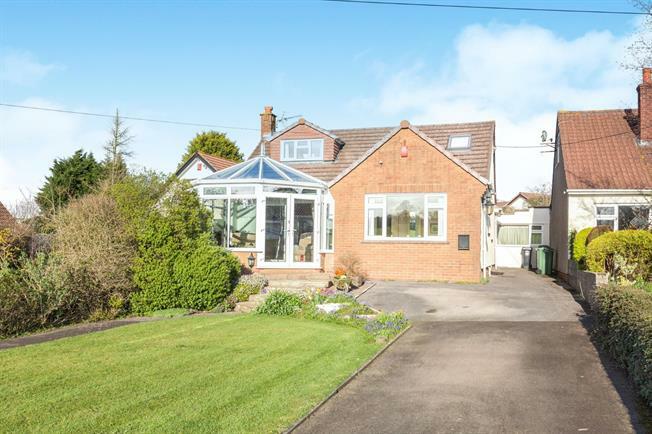 3 Bedroom Detached Bungalow For Sale in Bristol for Asking Price £610,000. With a superb open outlook to the front this detached chalet style bungalow offers versatile accommodation. There is a good sized lounge leading in to a lovely conservatory so you can enjoy the views. Also to the ground floor you will find a kitchen/diner, bathroom and 2 double sized bedrooms. Stairs from the study area lead up to the 1st floor bedrooms which runs the width of the bungalow. There are good sized gardens to front and back and a driveway gives ample off road parking. The garage has been converted to a workshop/studio. The property has undergone improvements in the last decade to include a new roof, wiring and oil central heating system..